Wow! I’ve definitely fallen out of the blogosphere. I haven’t posted since last month’s Cottage Cooking Club. I need to get with the program. There’s plenty of cooking happening in my kitchen, but clearly not a lot of writing at the computer. I am sorely out of practice. I will try to get back into the game this fall. Fall? It’s the end of August, so that means that summer is almost over. I feel it in the air with slightly chilly mornings and gradually shortening days. Fortunately, the harvest is still going strong, and we’ve been enjoying wonderful local produce from the local farms and farmers markets, and a few things from our backyard garden. Tomatoes and corn are always at the table right now and will be until the season is over. 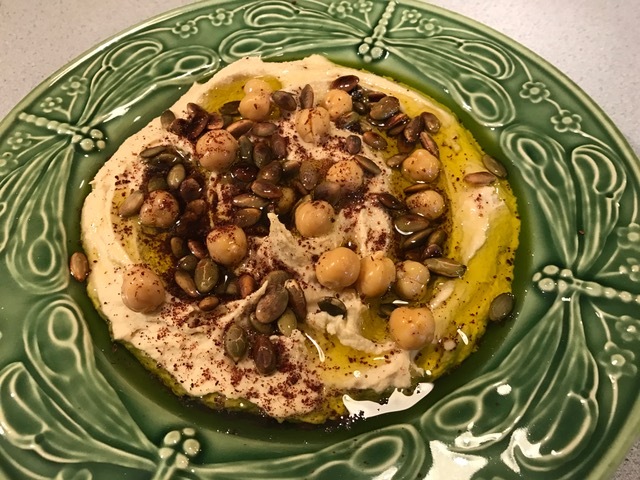 For this month’s Cottage Cooking Club, the on-line group cooking through Hugh Fearnley-Whittingstall’s River Cottage Veg, our inspiring leader Andrea from The Kitchen Lioness chose a menu of recipes that were hard to choose from. Here’s the rundown on what I picked, in the order I made them. 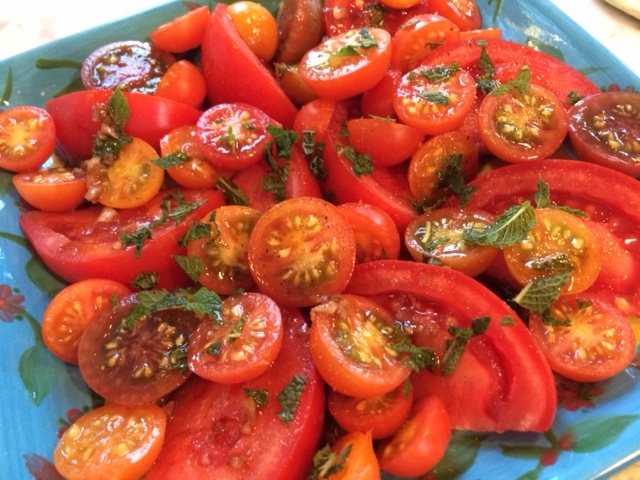 With the earliest of tomatoes, I threw together Tomatoes with Thai Dressing. This, like so many of the recipes in this book, showcases top-notch vegetables with just the simplest of accompaniments, here, a light Asian-flavored dressing. I wouldn’t say the dressing tasted very Thai to me, or all that Asian. It was refreshing, and I did like the fresh mint sprinkled on top. This quick salad was nice enough, though not interesting enough for me to make again. Next up was the Leek and Cheese Toasties. 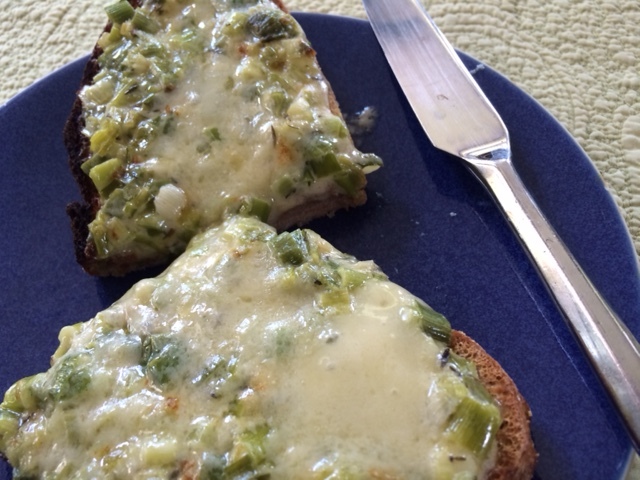 This open-faced sandwich has the most amazing topping: sautéed leeks combined with thyme, cream, and Cheddar cheese. A lightly-toasted slice of bread is slathered with the cheesy leek spread, sprinkled with more cheese, and broiled until bubbling and browned. This was my favorite recipe this month. I made a double batch and ate it for lunch every day for a week. The topping is probably a bit too heavy for the hot dog days of summer, but I’ll remember this for the cooler weather and make this one again and again. Plus it reminded of my mother’s special sandwich, a “Bunni special”, the lunch we often requested or she made without us asking because it was so good and easy to put together. My mom’s sandwich was different, sliced cheese and tomato sprinkled with dried Italian herbs and broiled, but they were similar enough to make me smile. 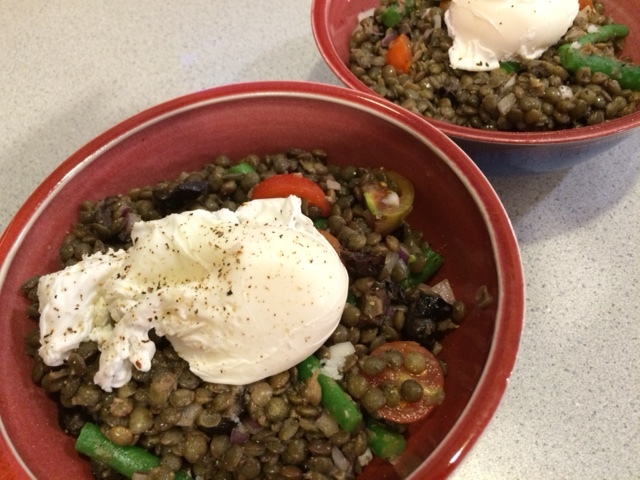 Finally, I made Summer Garden Lentils Niçoise. If I haven’t mentioned it before, lentils are my favorite of all beans and legumes. 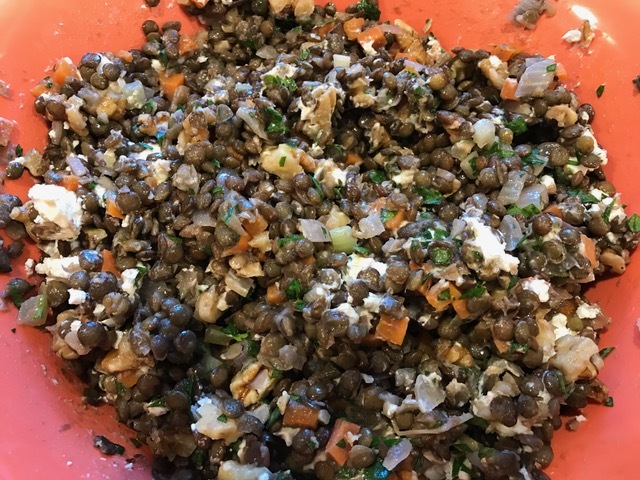 I’ve seldom met a lentil dish I didn’t like. 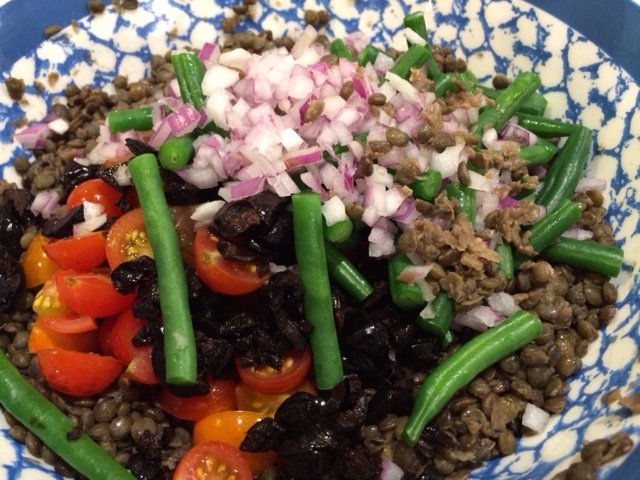 This lentil salad, which can be served warm or cold, includes my favorite flavors of summer: cherry tomatoes, olives, green beans, and red onion, pulled together with a mustardy vinaigrette. The cherry tomatoes were from my garden and the green beans from a local farm. Eggs transforms the salad to a meal. The first night, I chose to serve it warm with poached eggs on top. Yum! And, then the next day, eggless, this was the perfect side to the zucchini tart I had for lunch. 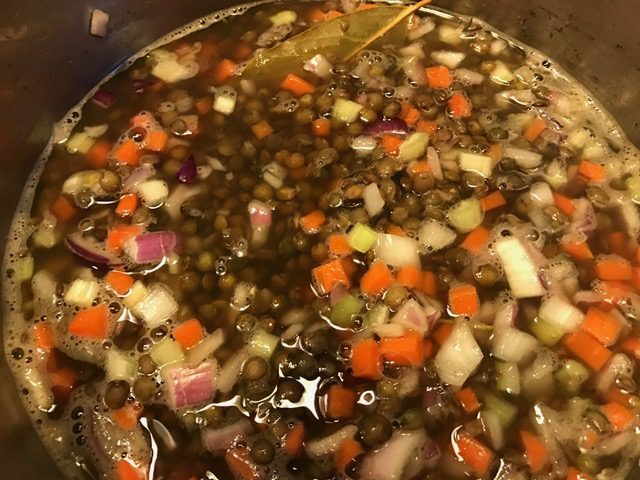 I also liked adding herb stems to the lentils as they cooked. I threw in some basil because I picked too much from the garden. I will definitely make this combination again. My favorite part of this group is checking out everyone else’s posts to both compare notes on the recipes I made and to figure which other recipes to add to my “must make” list. You can check out everyone’s links here.